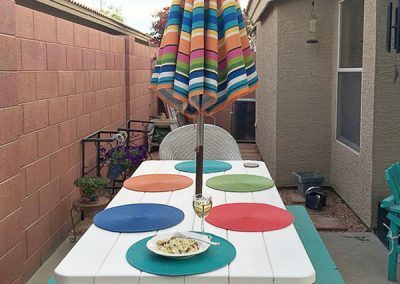 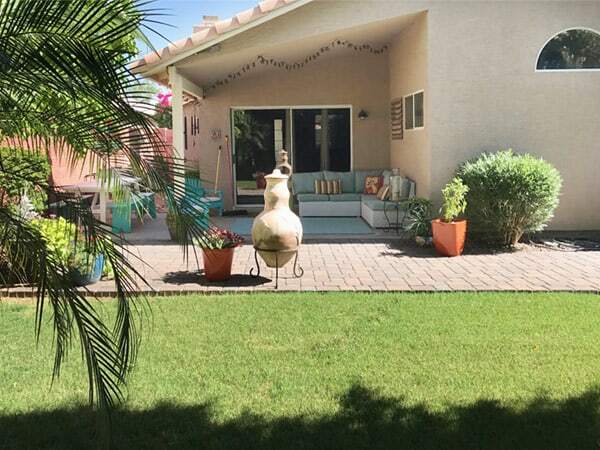 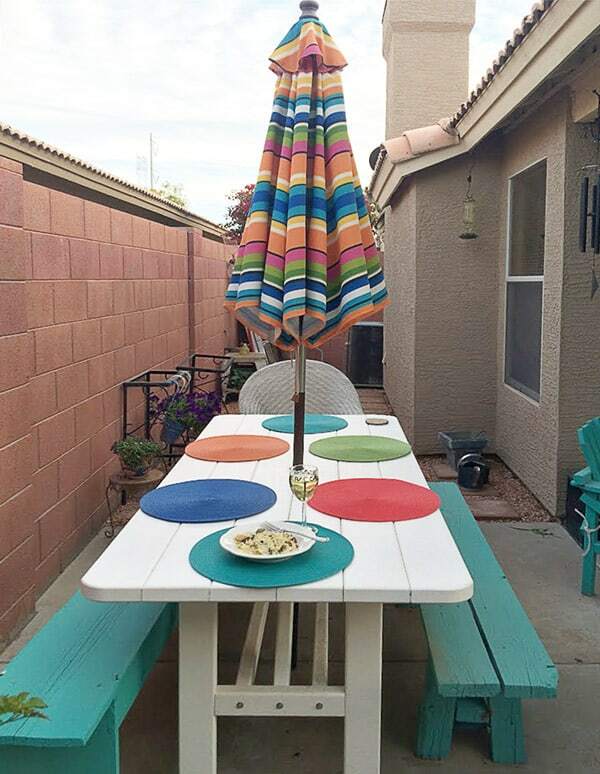 After going through a divorce, a Californian relocated to Arizona for a fresh start. 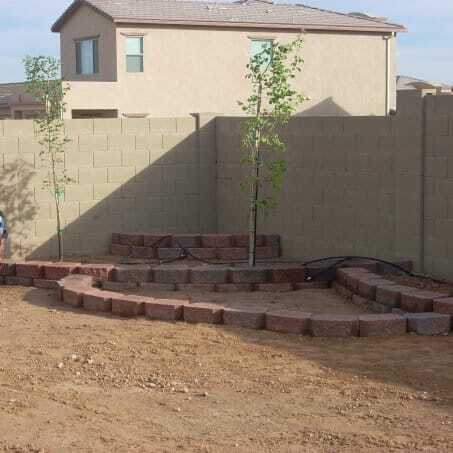 So he bought a new home, he needed help in the design phase of his back yard retreat. 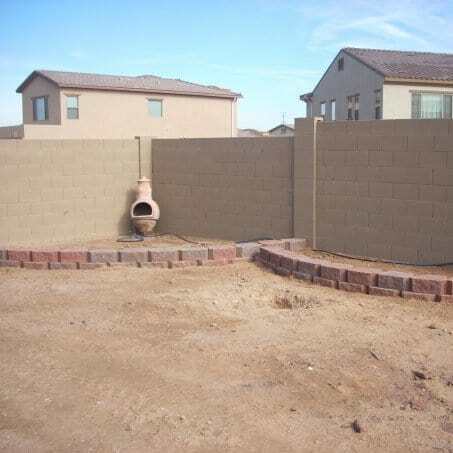 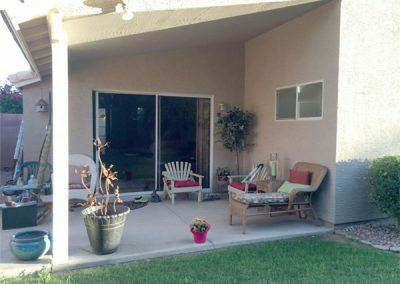 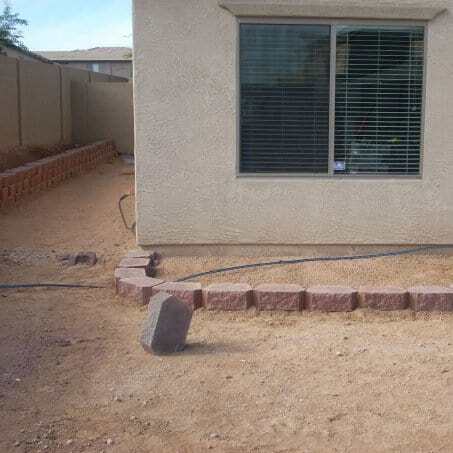 We started with the addition of a RV Gate, security doors, and cement slabs on the side yard and off the Master Bedroom. 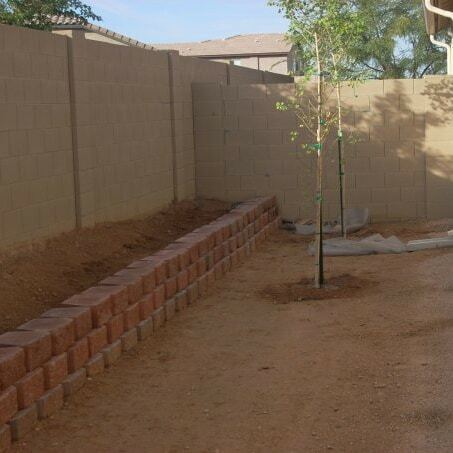 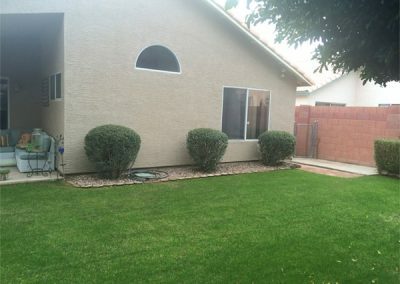 The backyard needed more shade so seven trees were planted along with the placement of an Alumawood Patio Cover. 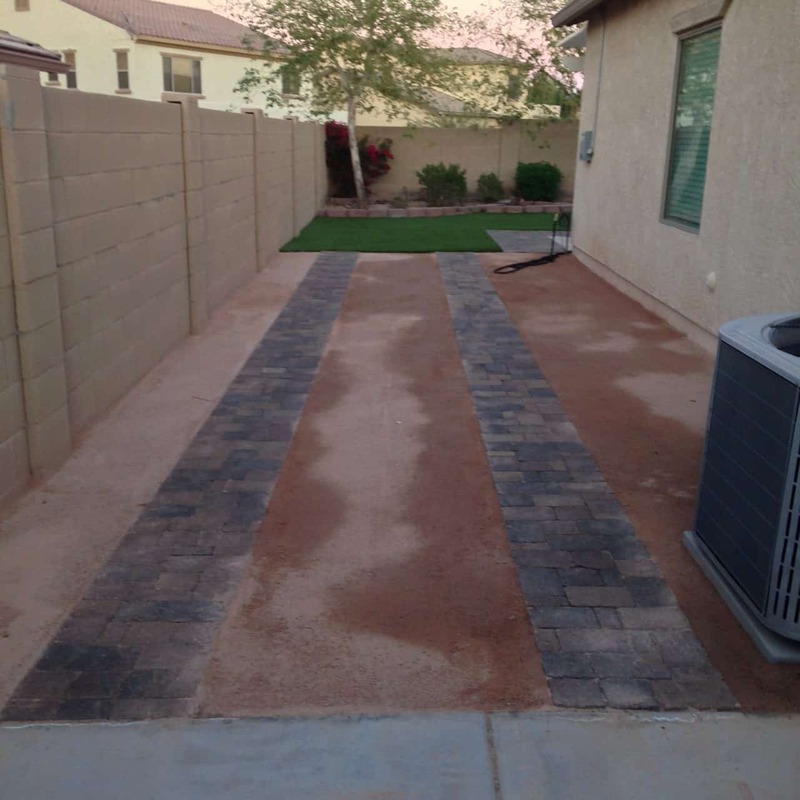 Then we designed the placement of pavers, planters, artificial turf and granite minus rock. 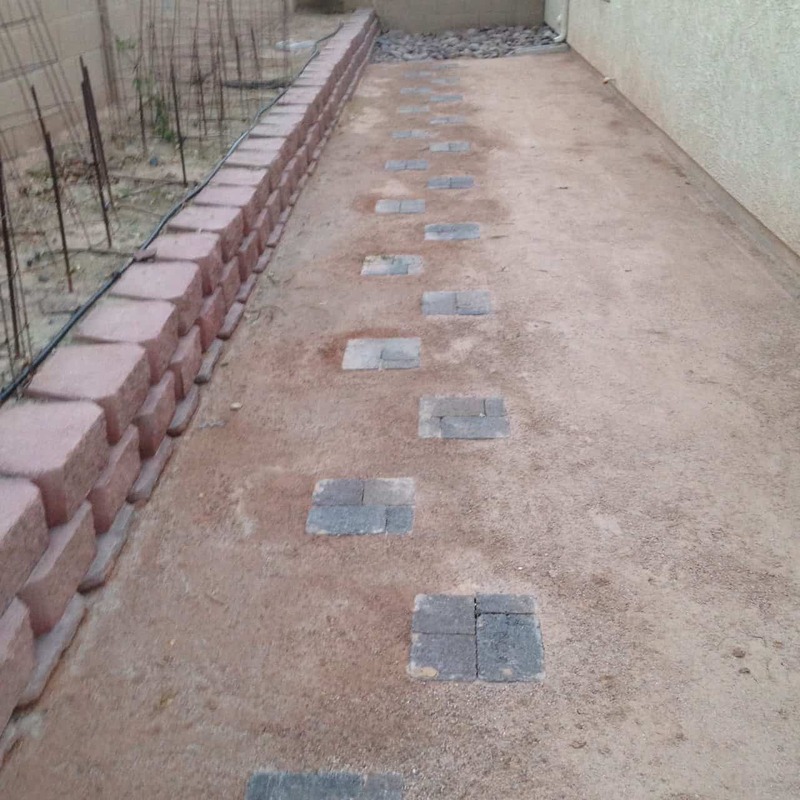 He wanted rounded planters for flowers and vegetables on the side yard. 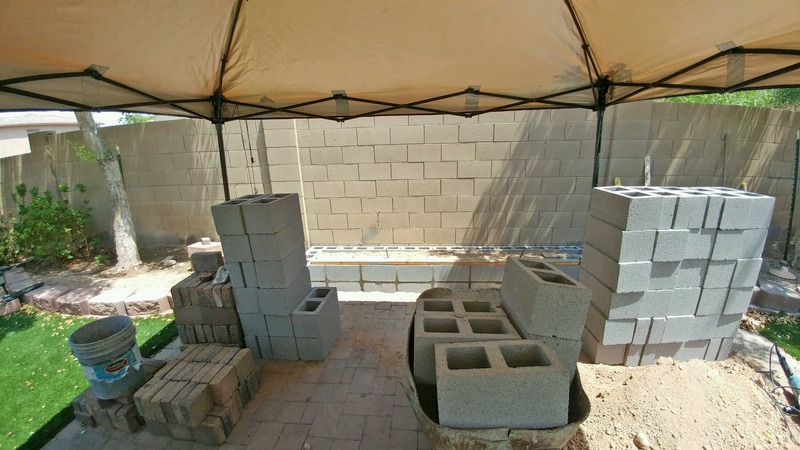 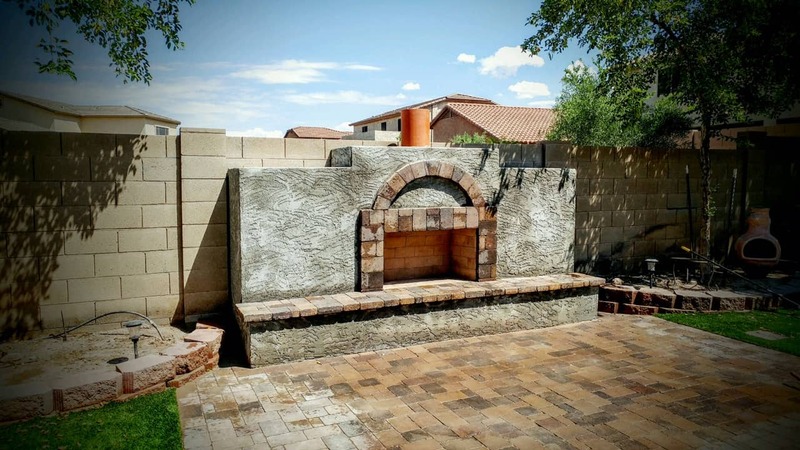 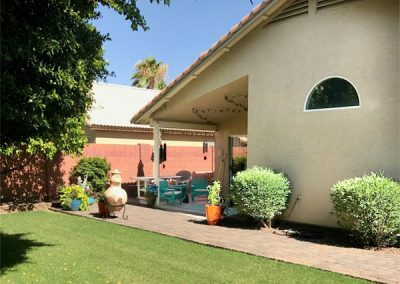 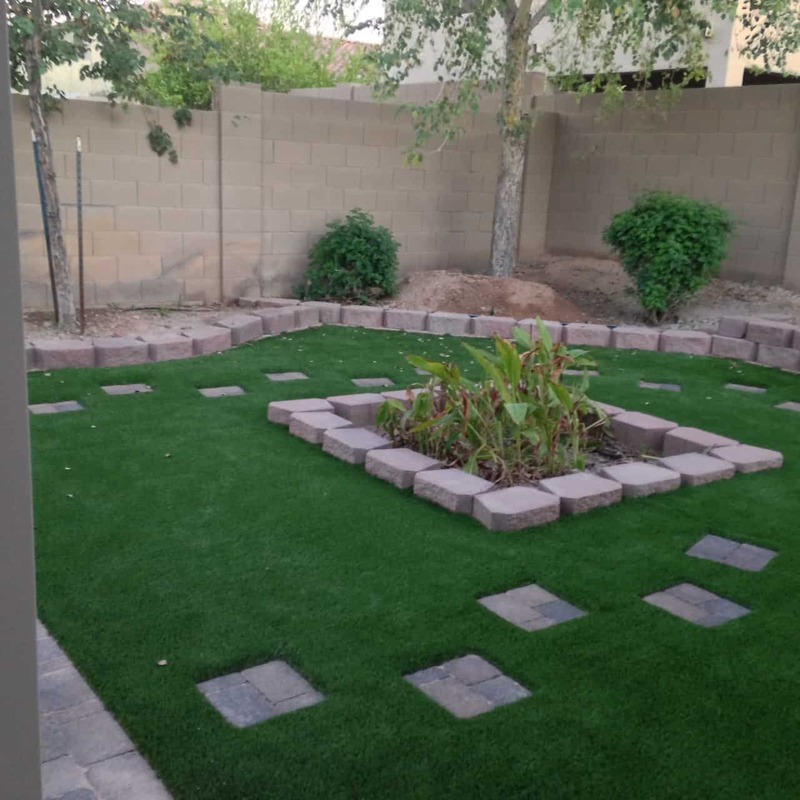 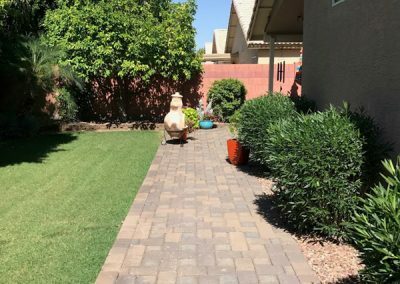 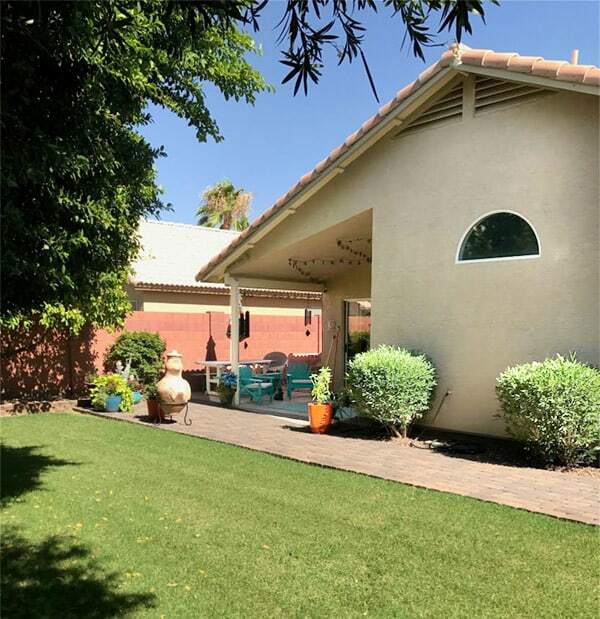 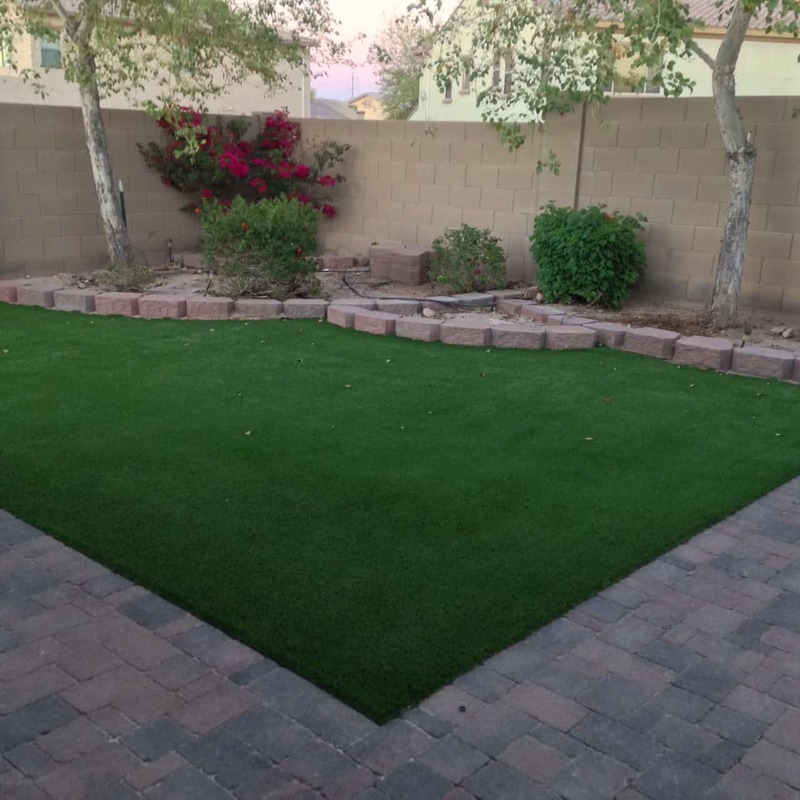 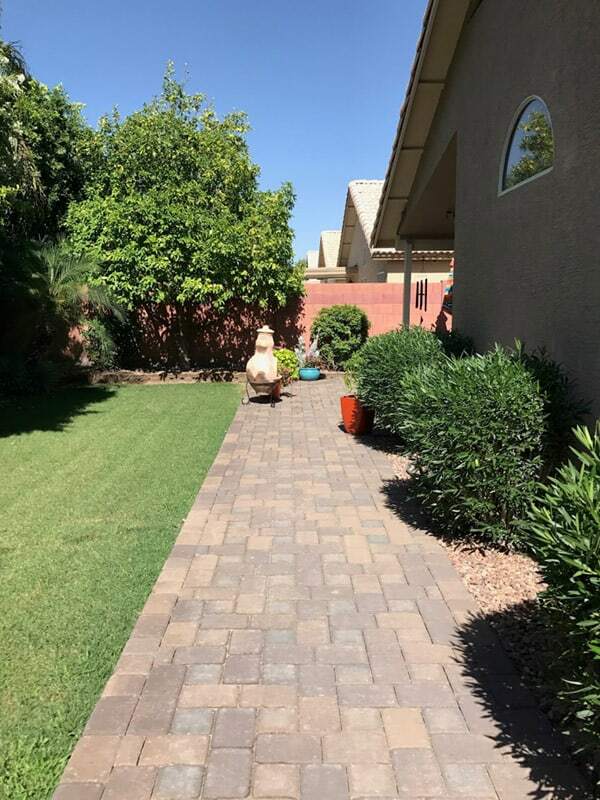 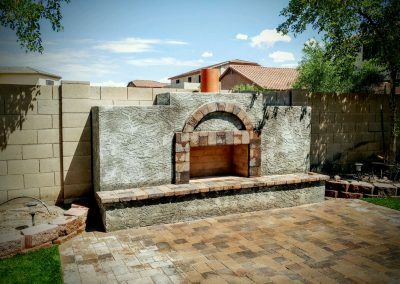 I guided him through the process of choosing the color & style of pavers and helped him determine the proper size & placement of the stepping stones and how to integrate the artificial turf within to create the perfect functioning outdoor living space. 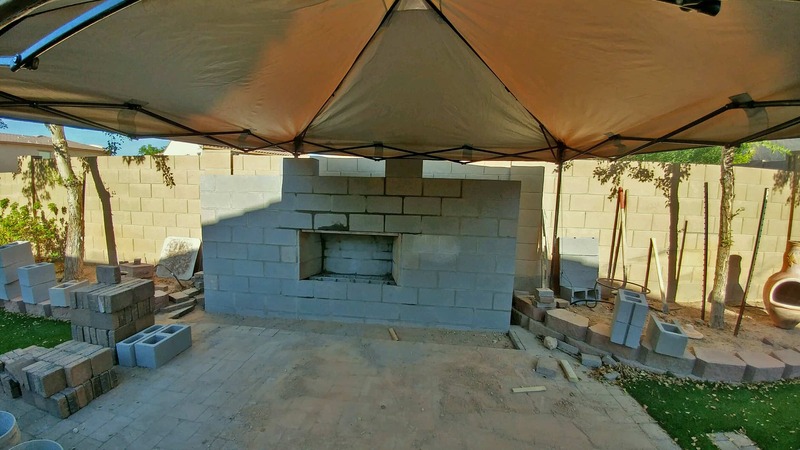 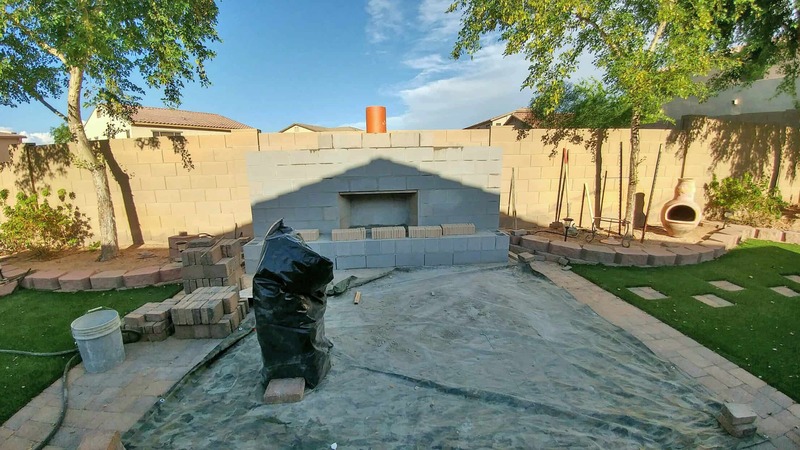 The main focal point of the space will be the custom fireplace which is strategically placed on the back wall. 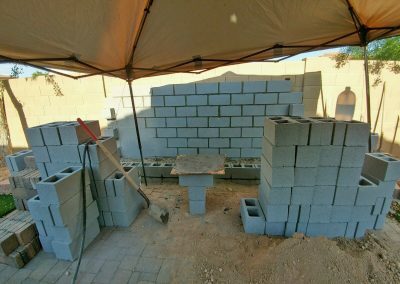 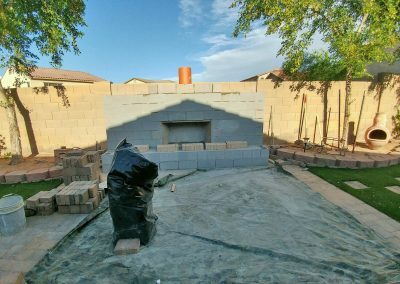 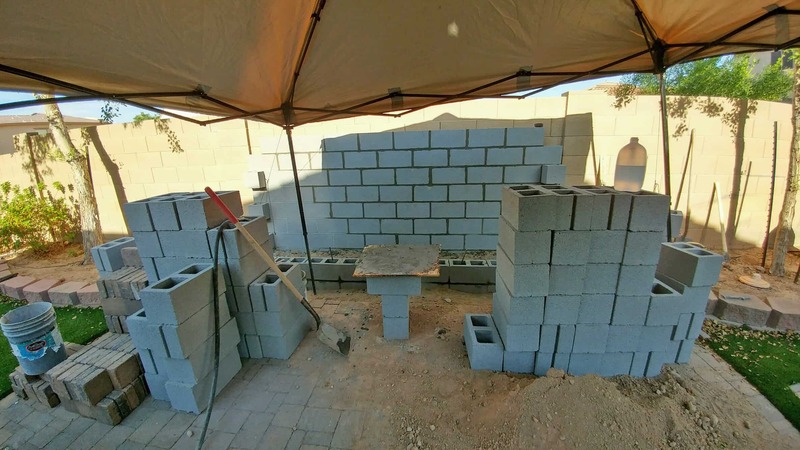 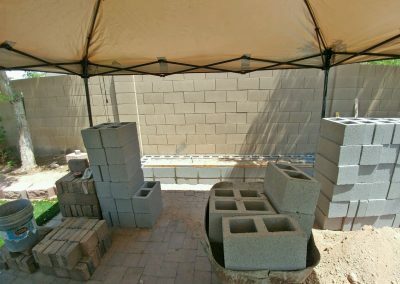 In the future a jacuzzi will be placed off the Master Bedroom cement slab. 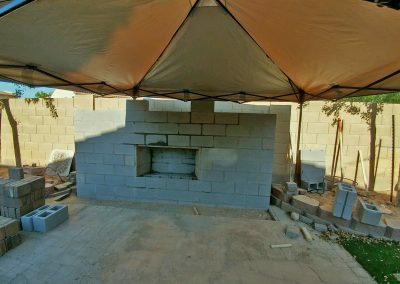 Off the Kitchen will be an outdoor Living Room which has been space planned to accommodate an outdoor rug, sofa, coffee table with a couple of chairs. 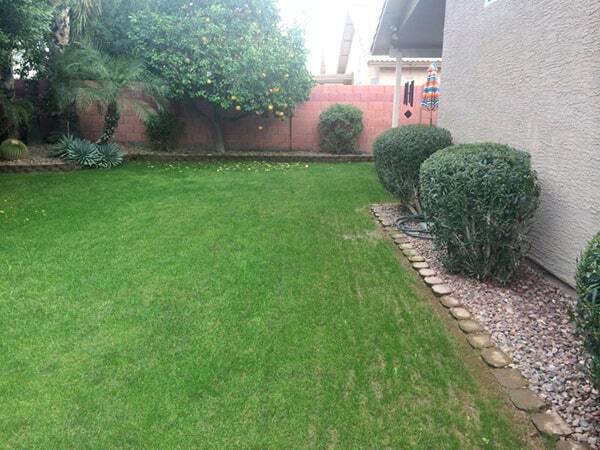 Eventually the whole yard will be fully planted orchestrating a cohesive outdoor living retreat. 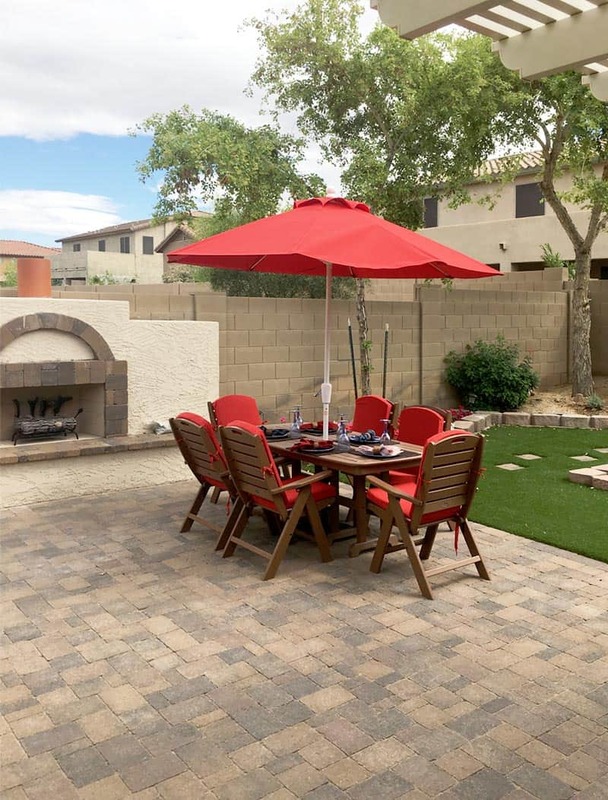 Helped client create an outdoor living and dining room space then Phase 2 expanded the patio with pavers and walkway then added lights and accessories to complete the outdoor living area.